Just go ahead and keep it up liberals. You are just alienating more people daily with your violent antics. 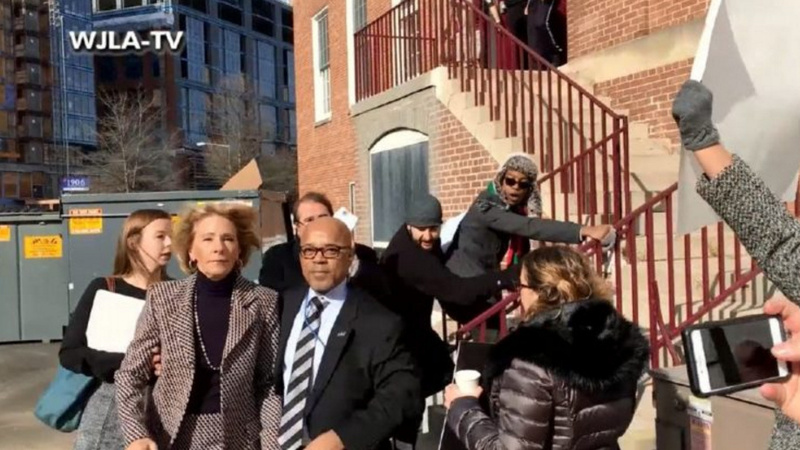 Education Secretary Betsy DeVos was threatened and physically blocked from entering Jefferson Middle School in Washington DC today. Leftist protesters then chased her to her car and down the street! The protesters screamed at her and blocked her from entering school. DeVos has not even been on the job ONE WEEK yet! LEFTIST PROTESTERS BLOCKED HER FROM ENTERING THE SCHOOL THEN CHASED HER TO HER CAR! This is today’s DEMOCRAT PARTY! They were screaming, “Shame! Shame! Shame!” as they chased her to her car! DeVos was reportedly SHOVED!… Then they CHASED HER CAR DOWN THE STREET! Where are the female protesters speaking out against this abuse? More… They originally blocked her car from entering the school parking lot. WHISTLEBLOWER: Refugee Program Insider Proclaims First-Hand Knowledge Of Abuse & Fraud!